Indian cuisine is influenced strongly by the tradition and culture of India, Indian religion, and the people of India themselves. Its diverse culture and region reflects in its food beautifully and is the core reason why their food outranks other countries. Every state of India has unique ingredients and flavours of its own. 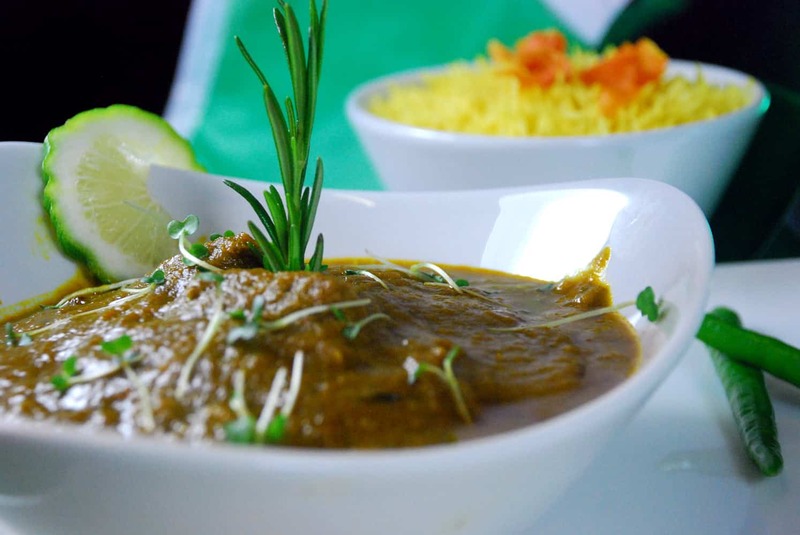 Most countries all over the world have Indian cuisine on their food menus, is it any wonder as its such a diverse food, with flavours and completely delicious. There is no other place in the world that has a large choice of exotic dishes and no other country has a wider diversity of impulses to tickle your taste buds. You can also learn about the health benefits of an Indian diet here! Aloo Gobi is a Vegetarian dish and a dry dish consisting of Indian spices, Potatoes (Aloo), and Cauliflower(Gobi). It is yellow in colour due to the use of Indian spice Turmeric, and sometimes they often use curry leaves and kalonji. There are other common ingredients used include onion, ginger, garlic, tomato, coriander stalks, cumin, and peas. This is a very popular dish that would be ordered in an Indian Restaurant. Learn how to cook the perfect Aloo Gobi! This dish originated in the 1950’s. The butter chicken is traditionally cooked in a Tandoor, or very often can be cooked roasted, grilled, or pan-fried. The gravy consists of garlic, fresh tomato, and cardamom this is heated up, it is then pureed after cooling down, Khao, butter, and other various spices are added, if you want you can also add other ingredients such as pepper, fresh cream, cinnamon, cloves, and much more. This dish originated from Kashmir. It is made with braised chunks of Lamb and it is cooked in a gravy based with yogurt, garlic, aromatic spices such as cinnamon, and shallots. The colour of this dish comes from the red dried chilies. The chilly seeds are removed to reduce the heat of the dish. This is a must dish if you love Lamb. A Samosa is a baked or fried pastry with savoury fillings which include onions, lentils, spiced potatoes, and sometimes beef, chicken, or lamb is added. It is usually known as vegetarian food. Many Indian people would eat this as a midday snack and is known as a very popular street food dish. This is a very popular North India dish. It is prepared by marinated roast chicken put in yogurt and tandoor with spices, a cylindrical clay oven. Very often Indian restaurants would add red chili powder, cayenne pepper, Kashmiri chili powder to give it that extra hotness. It goes great with a crispy naan and basmati rice. It is a very good, popular, and tasty vegetarian alternative dish that is served in restaurants in India. Kofta is fried dumpling balls and Malai means cream. The Koftas are made of carrots, potatoes, peas, beans, and sweet corn. It is cooked in a creamy gravy made of cashew nuts and tomatoes. It goes exceptionally well with jeera rice and Naan. It is a melt in your mouth food dish as it soaks up the rice nicely. This is a flavoured tea beverage made by brewing black tea with a mixture of Indian herbs and spices. It has become very popular worldwide in a lot of teahouses and coffee shops. In tradition, it is prepared with ground cloves, ground ginger, green cardamom pods, and cinnamon sticks. It is very often sold in a tea shop as a single tea bag form. It is delicious all round once combined with steaming hot milk. This is a very popular vegetarian dish made with farmers cheese (paneer), peas, in a tomato-based sauce and spiced with garam masala. It is mainly popular in the North Indian region. This goes perfectly served with naan, rice, poori, paratha, or roti it would depend on the region. Check out his Matar paneer recipe! This is a favourite Indian Flatbread. Naan is a leavened, oven-baked flatbread that would be a staple in every Indian kitchen and meal. It goes great with all popular dishes including tandoori chicken, or all kinds of kebabs. There are various types of naan bread available from cheese naan and garlic naan. The Indian cuisine is not complete without the naan. Don’t forget the yogurt though, a staple and very often a secret ingredient in most Indian meals. The naan is often used as a spoon to scoop up any sauce or dipped into chutneys. It is a curry dish very popular in the region of Gao. It is known as a fiery hot dish. Many different types of meat can be added to this dish which includes chicken, beef vindaloo which would be the most popular to use, or lamb. The vindaloo paste is made up of chilies with coriander, cumin, and other spices. To ease the hotness of this dish, many Indian restaurants will remove some of the chilly seeds. This is the dish for you if you love a bit of fire in your mouth.